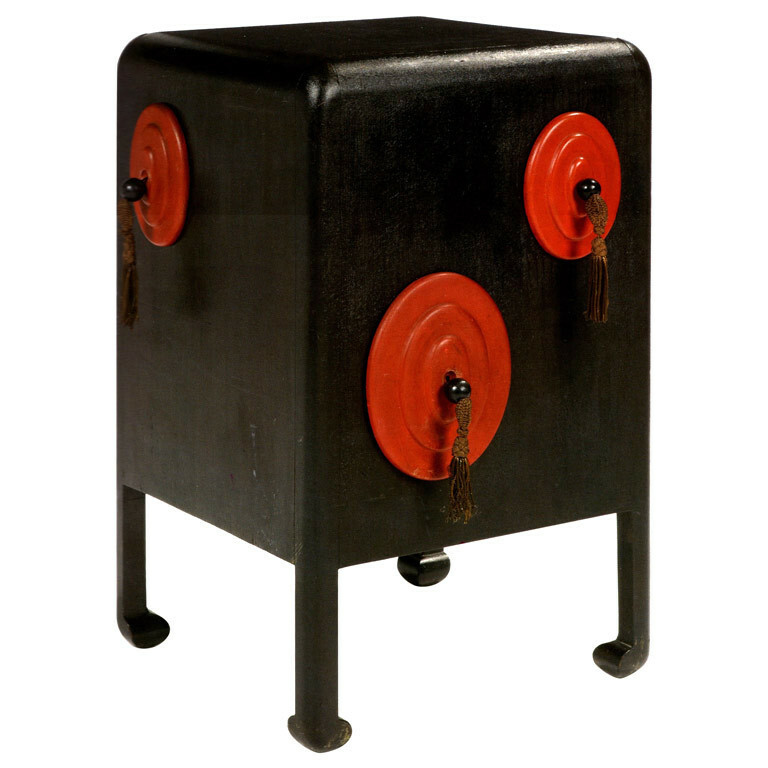 The art and style of about 1908-1914 matched the frenetic pace towards the modernism the First World War brought to fruition. 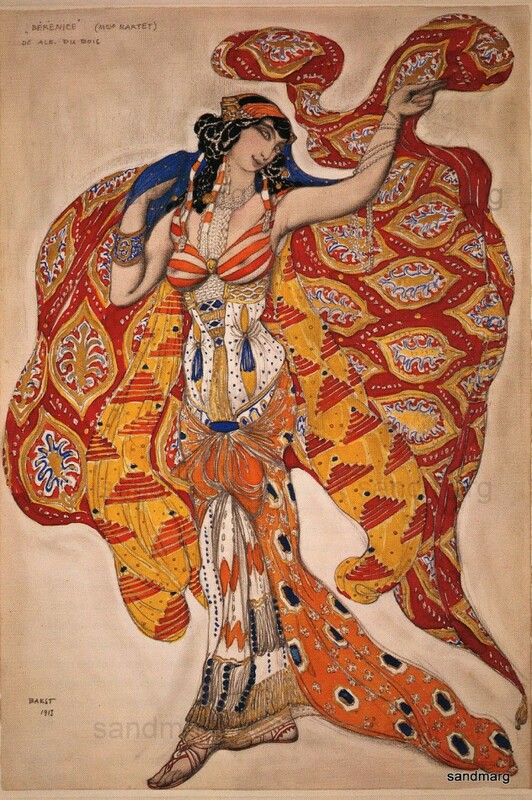 This period–characterized by the Ballet Russes (under the design of Léon Bakst), Paul Poiret, and art movements like Fauvism, Cubism, and Futurism–can be neglected, sandwiched as it is between the better-known lush floral curves of Art Nouveau and the stark geometric lines of Art Deco. 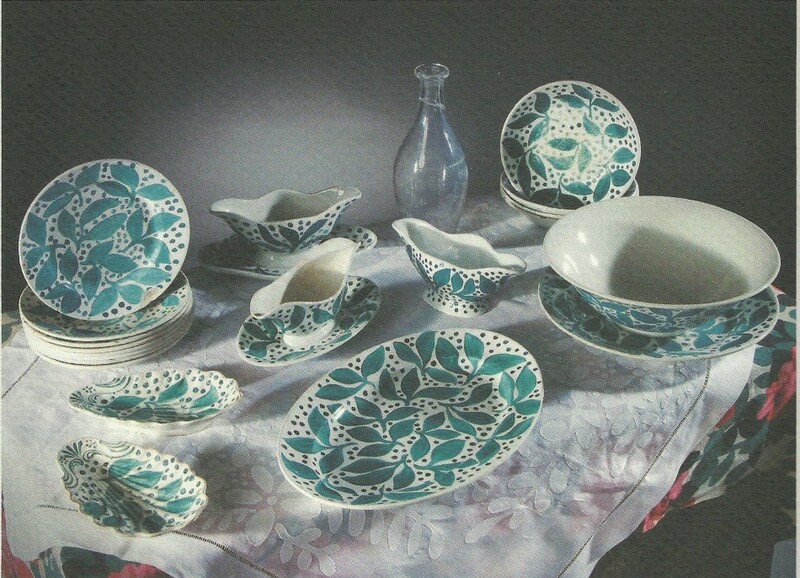 But the brief, startling impact of Russian and “Oriental” design on the Edwardians was like a pupa bursting free from its larvae to become a dazzling butterfly. Almost overnight, ladies exchanged their large, feathered hats for lame turbans, and the smartest houses cleared away their clutter for clean lines, sensual drapery, and exotic furnishings. 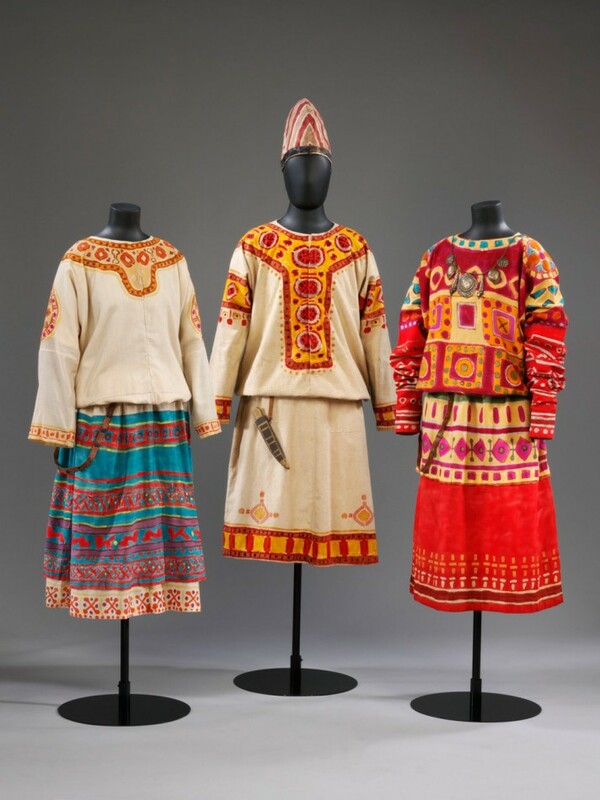 During its heyday between 1909 and 1929, the Ballet Russes set the trends for music, fashion, design, and dance. 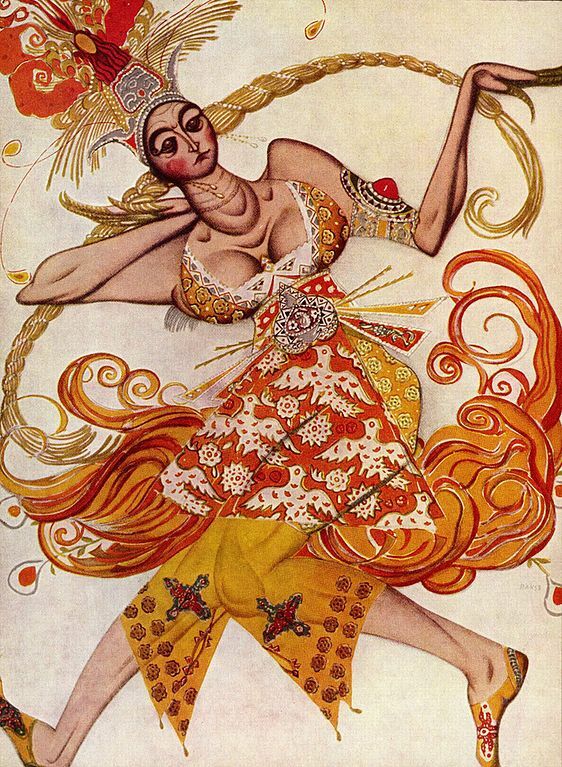 Serge Diaghilev, the company’s founder and impresario, gathered the best dancers, choreographers, and designers under his wing, most of whom achieved lasting fame long after his death. 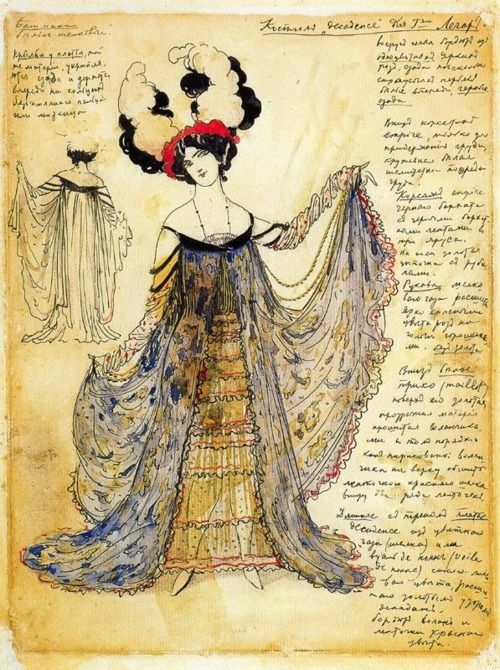 Léon Bakst was the art director for the Ballet Russes, and his collaboration with Diaghilev produced starting sets and costumes that appealed to everyone in society, not simply the elite, and rebelled against realism. 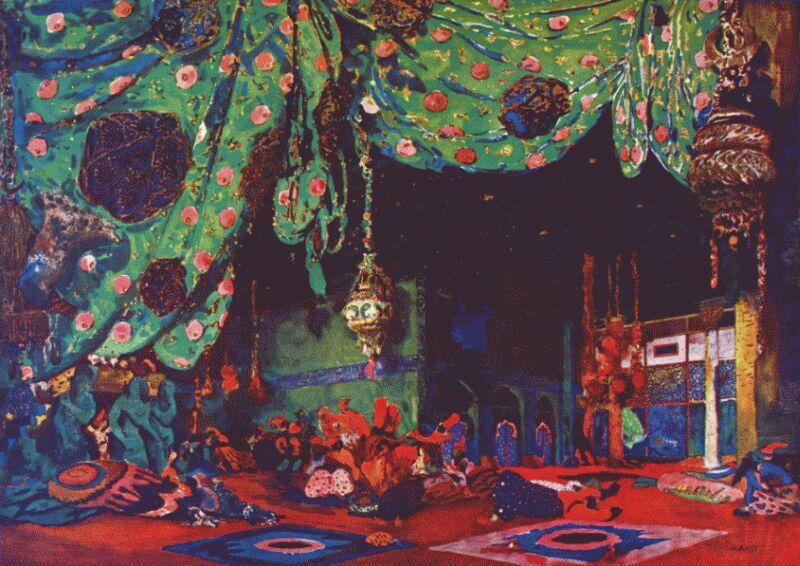 Nicholas Roerich, another Russian artist, had a particular interest in Russia’s past, which served him well when designing the sets for the Ballet Russes epic historical pieces like Prince Igor. To focus on music and dance, Igor Stravinsky’s composition “The Rite of Spring” caused a near riot when it debuted in 1913. For audiences weaned on the delicate strains of the waltz and the elegant ballets of Tchaikovsky, the deliberate dissonance and outrageous textures was taken as an assault on their ears. Add to this the unconventional, frenzied choreography of principal dancer Vaslav Nijinsky, and this was a revolution! The video below is a 1987 recreation of Nijinsky and The Rite of Spring, as it possibly appeared to audiences in 1913. 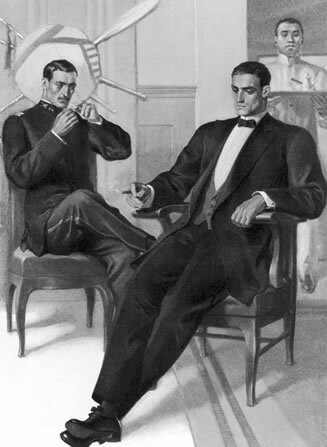 Long after the fame of the exclusive Gilded Age resort faded, the semi-formal suit (presently considered formal wear in America) which was lent its name remains. Prior to the 1880s, casual wear was rarely seen. For gentlemen, attire was dictated by the hour of day and destination. 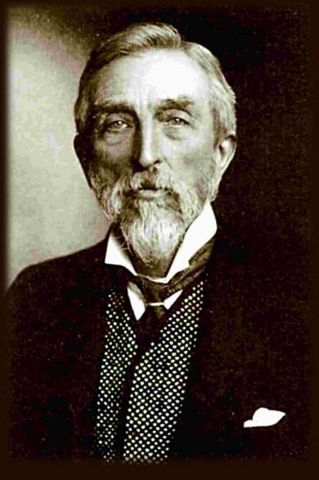 They looked to the English for evening dress, and despite the great difference in climate and temperament, Gilded Age gentlemen went stiffly to dinner in tails, waistcoat, and high collar. As high society looked to emulate their European betters, they began forming resorts–Newport was one, Bar Harbor, or Lakewood, New Jersey, were others, to name a few–where they could relax and play. Tobacco magnate Pierre Lorillard had other plans in mind when he sought to establish another aristocratic resort. Tuxedo Park opened in 1886, and members of the Four Hundred rushed to snap up land. 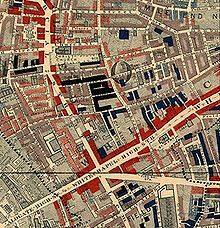 However, those families who were not allotted parcels on which to erect a cottage had to undergo a formal test before being allowed to buy land and build a home: first they contracted to buy land, at which point they were examined by the Tuxedo Association for admission to the club. If a prospective homeowner was denied admission to the club, their contract to buy property was simply voided. Nonresident members were permitted to stay in Tuxedo, but only for limited periods, and family members stayed in apartments on the top floors of the clubhouse, bachelors resided in a separate building, and families with children were housed in a separate building nicknamed “the baby kennels.” As Tuxedo Park was focused around the clubhouse, it was ruled with an iron fist by George Griswold, who created a set of rules and enforced them in a socially ruthless manner. [T]hree special trains, loaded with seven hundred guests, arrived from New York City. Green-and-gold buses and wagons, branding the scene with the club’s colors, lined up at the station to transport the visitors to the park. For latecomers, there were the Tuxedo taxicabs–single-horse covered carts, locally called “jiggers”–to pick up the slack. 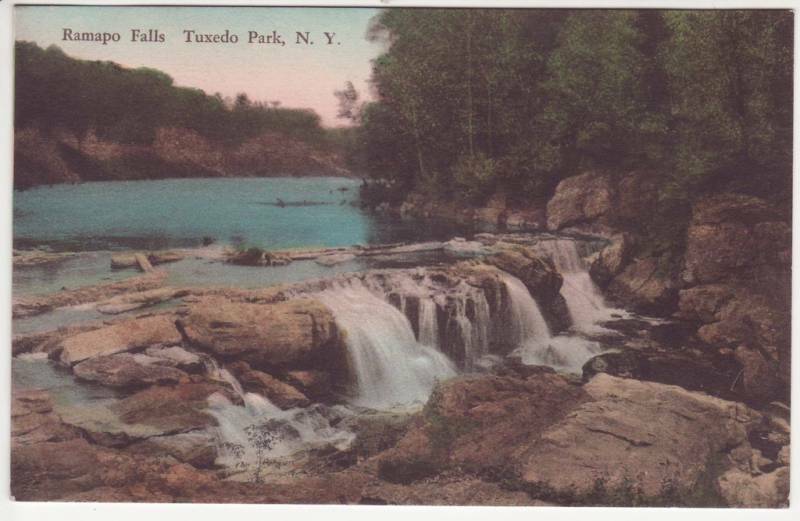 Though Tuxedo Park was built as a sporting resort, its proximity to New York naturally incorporated a stay into the year-round social season–some families preferring to go there after the Newport season, instead of the Berkshires, and some even made Tuxedo their permanent residence. The year Tuxedo Park opened sparked not only the birth of the country club and modern American resort, but an item of clothing which was to change the way men dressed for formal events to this day. The other account gives the provenance of the tuxedo to fellow Tuxedo Park resident James Brown Potter, who brought a Homburg jacket made at Henry Poole & Co. home from a trip to England in 1886. When Potter and his friends wore this coat to a dinner party at Delmonico’s, it created a sensation and was dubbed a “tuxedo.” Whomever originated the tuxedo, its adoption over the tailcoat was considered daring until the Prince of Wales (later Duke of Windsor)–an ardent lover of all things American–made it acceptable for semi-formal evening dress. Though tie and tails prevailed for most, the younger generation preferred the tuxedo for its slightly informal aspect and its modernity.